With large, fully double blooms, the Magellan zinnias will bloom all summer long. With vigorous and uniform plant habit with exceptional bloom power, they are great in the gardens and landscapes. 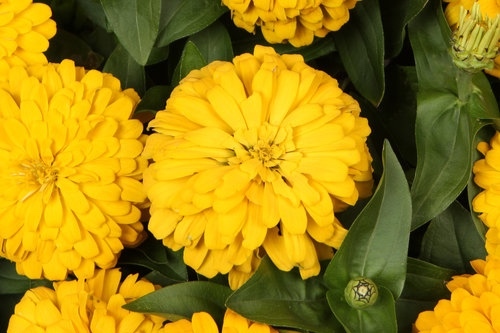 One of the most popular zinnia series on the market, it is easy to grow and tolerant of heat and diseases throughout the season. It is excellent for landscapes and garden beds as it offers a wide variety of colors while staying uniform and controllable. This carefree, summer-long performer shows off lots of strong, high-impact color. 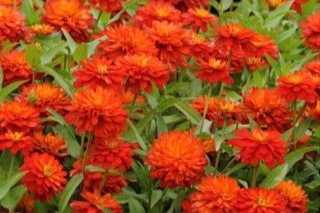 With is great drought and heat tolerance, Zahara zinnias are some of the most popular in the landscape setting. 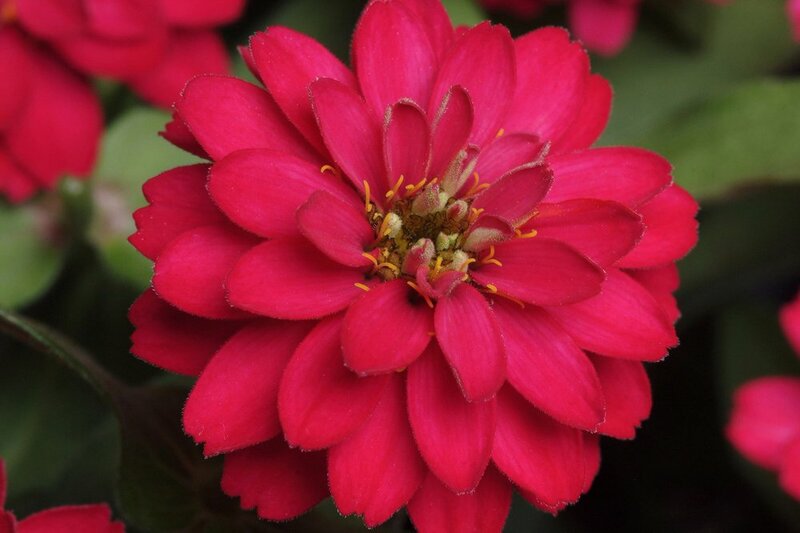 This neon-bright zinnia, Uproar Rose, offers massive blooms that measure 4-5” wide. Much like Magellan zinnias in there boldness, Uproar Rose takes those colors to a new height. Literally! This zinnia is one that demands to be noticed. A vigorous and well branched zinnia with striking, fully double bicolor flowers. A season-extending heat lover that is ideal for large containers and summer landscaping.